Cairo Hookah Lounge is the best Richardson Smoking Restaurant, conveniently located at 581 W. Campbell Rd. Come enjoy our delicious food while you relax and smoke. Our mix of International and American music soothes your senses and calms the soul. Why not enjoy a meal while you enjoy your smoke. 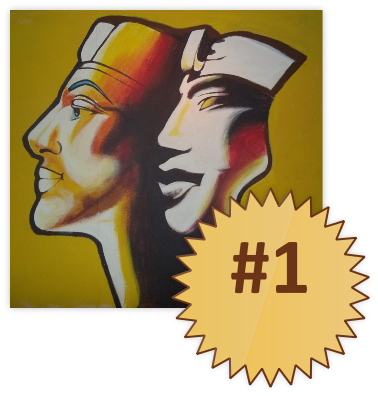 Our Richardson Hookah Lounge features true Egyptian style. We have several big screen TV’s for your entertainment while you smoke and eat. If you are looking for a full meal or just craving a snack we can satisfy your needs. Our friendly staff will make sure you are comfortable on one of our luxurious couches. Come see why more people choose Cairo as the ultimate Hookah Lounge & smoking café in Richardson, TX. One of the nice things about our Hookah lounge is the clean air. We use smokeeter smoke filters to keep the air fresh and clean. We understand that not all customers have a desire to smoke - or to breathe second hand smoke for that matter. This is why we have several air filtration units in our lounge to assure that you are not forced to breathe the smoke. Our Lounge is clear and clean to provide you with the best experience possible. Come on in and have some drinks or enjoy some food with our mixture of international and domestic music. Relax and unwind with your friends while you watch our big screen TV’s. 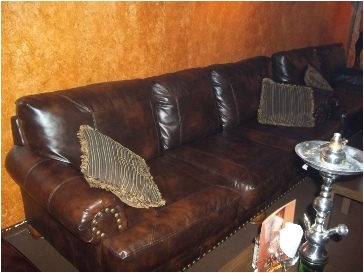 Our luxurious couches will keep you comfortable while you enjoy time with your friends. It does not matter if you came to smoke or just to socialize, we feel that you will find our clean atmosphere pleasant and enjoyable enough to keep you coming back again. It does not matter if you just got off work or if you are looking for a place to hang out for the night. Our friendly and attentive staff will make sure you have everything you need to ensure your pleasure is satisfied. Order some refreshments from our drink menu or grab a bite from our cafe while you decide which one of our custom Hookah flavors you will try. Come on by and find out why more people choose Cairo Hookah Lounge as the ultimate hangout for relaxation and smoking Hookah. 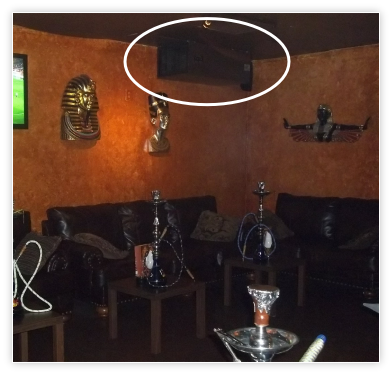 Cairo Hookah Lounge is equipped with smokeeter air filtration units providing the cleanest air supply. Cairo Hookah Lounge is laid back and easy going. Relax, kick back and enjoy the Hookah. Cairo Hookah Lounge is the best Richardson Smoking Restaurant, conveniently located at 581 W. Campbell Rd. Come enjoy our delicious food while you relax and smoke.